Remember a few weeks back when people worried that Disney buying Fox would mean that Dark Horse might lose Aliens, Predator, and Aliens vs. Predator? And then the license for Conan the Barbarian went to Disney-owned Marvel Comics, and it sure looked like one by one, the licensed comics that Dark Horse had done so well would slip through their hooves and into the House of Ideas. Marvel may have gotten a barbarian, but in the long run Dark Horse might have gotten a slightly better deal by getting a certain snow queen, her sister, and the snowman their love created. In August 2018, Dark Horse Comics will launch new comics based on the characters from Frozen, and they’re telling all the world now — including lending art from the books to badges for upcoming conventions. That’s not all — they hint that there are more Disney comics to come. It doesn’t quite add up, beyond Dark Horse doing excellent comics. Marvel was doing a series of Disney-based mini-series, though you may have noticed that they disappeared after Enchanted Tiki Room over a year ago. IDW has more kid-based Star Wars Adventures, as well as assorted books with Mickey, Donald, Goofy, and the gang. Up in Canada, Joe’s Books did a “photo graphic novel” of Frozen and other Disney properties. When it comes to comics, it seems like Disney is quite content spreading the wealth to a variety of publishers whether or not they have a controlling interest in them. The only thing I know for sure is that if Dark Horse is doing Disney comics, they’ll be worth picking up. 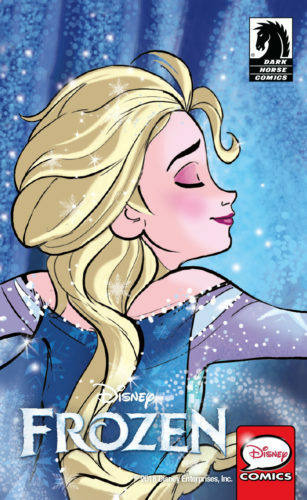 Today, Dark Horse Comics is thrilled to announce a new three-issue miniseries to release this August titled Disney Frozen. Disney Zootopia Comics and Disney DuckTales: Treasure Trove writer Joe Caramagna and artists from the Kawaii Creative Studio both return to bring some fan-favorite Disney characters to the world of comics. Disney Frozen #1 finds Queen Elsa and Princess Anna trying to get to the bottom of things when the peace of their beloved kingdom is disrupted. There’s a wild animal loose in the village, destruction in the forest, and unrest brewing in a nearby kingdom. Luckily, Elsa and Anna will have the help of Olaf, Kristoff . . . and a mysterious, adventurous young woman to restore peace in their kingdom. 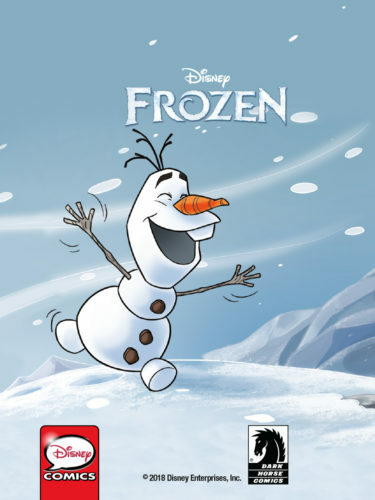 The first issue of Disney Frozen is scheduled for a summer 2018 release. 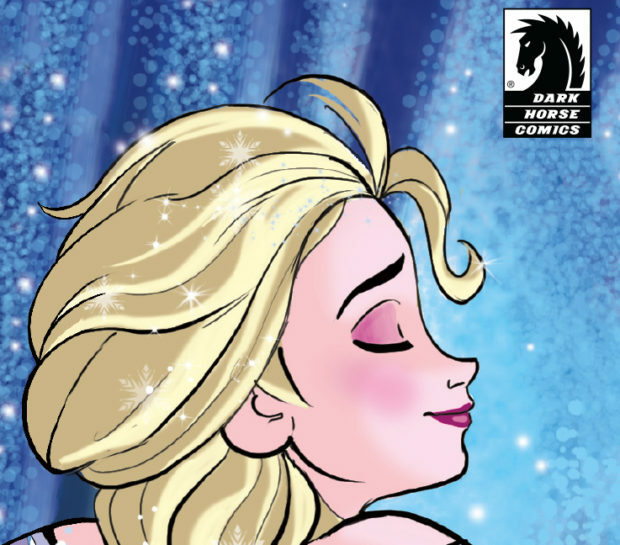 Dark Horse and Disney will announce additional comics in the coming months.